I research and test paleo and gluten-free food products on a regular basis. One product that has caught my attention is konjaku, also known as shirataki, konjac, konnyaku, and Devil’s Tongue. 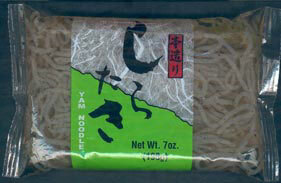 A versatile noodle, konjaku is totally paleo, gluten-free, high-fiber, calorie-free, low carb, and rich in prebiotics. Simply put, these noodles are a fun paleo food! Konjaku was featured on BodyEcology.com, a website created by Donna Gates, a nutritional consultant, lecturer, and author of The Body Ecology Diet, in order to furnish information to the public on maintaining the “inner ecosystem” through nutrition. Konjaku is a unique noodle made from yam flour of the konnyaku imo tuber rather than from grain-based flours, which helps maintain optimum health and achieve weight loss. Consumed on a daily basis by the Japanese, konjaku can provide adequate fiber without the need to supplement with other high-fiber foods. Because they are grainless, konjaku noodles don’t feed the “bad” bacteria or yeast in the digestive tract, and therefore they help to balance the gut’s natural ecosystem. Studies have shown that a proper balance of bacteria in the gut helps to aid digestion and boost immune function. Konjaku noodles are a welcome dietary staple to some holistic healers (such as Dr. Mercola, an osteopathic physician and board-certified family medicine doctor), who are asserting that most people should avoid grains – yay paleo!!! According to Dr. Mercola, several autoimmune disorders, not just celiac disease, can be “significantly improved by avoiding grains,” and eliminating grains from your diet can also decrease your risk of heart disease, high cholesterol, Type 2 Diabetes, and cancer. This is attributed to the fact that “grains and sugars are inherently pro-inflammatory and will worsen any condition that has chronic inflammation at its root – and not just inflammation in your gut, but anywhere in your body.” In his experience, about 75-80% of all people benefited from going grain-free, and I would say even more. 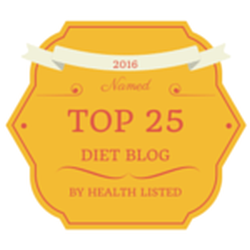 The Paleo diet says it all! Body Ecology recommends a specific brand of konjaku, Miracle Noodle, which comes in fettuccine, angel hair, and orzo. They also offer black shirataki noodles, which also contain the “healing” ocean vegetable, hijiki. If you prefer to purchase another brand of konjaku noodles, it is best to check the ingredients for purity. Preparation is simple. The noodles are rinsed, patted dry, then sautéed in a teaspoon of raw butter, ghee, or coconut oil. Toppings of whatever kind can be added. They take on the flavor of what they’re served with. In my experience, experimentation in the kitchen is a key factor in successfully maintaining a paleo diet. Not all products are for everyone, but with a willingness to try new foods, particularly “super foods” such as konjaku, our paleo community can maintain a healthy, balanced diet. High in fiber, good for the gut, and gluten-free, konjaku noodles certainly seem worth a try. Heck why not? I had fun with them and so can you.